We’ve all been there: you treat yourself to a stunning new silk shirt or woollen jumper but, before long, it’s languishing at the bottom of the laundry bin because you simply have no idea how to hand wash clothes. Our washing machines can get great results on most everyday laundry, but some fabrics — like pure wool, cashmere, and silk — are just too delicate for your machine, even on the gentlest cycle. Clothing with lots of sequins, embroidery, or other details can also be damaged by the vigorous spinning of your machine. So, if you want to keep these items in good condition, you’ll need to give your clothes some extra TLC. Washing clothes by hand might seem like a confusing — and time-consuming — chore. But, as long as you read the label and follow the instructions carefully, it’s actually a fairly straightforward process and will help to extend the lifespan of your garments. In this guide, we’ll teach you exactly how to hand wash clothes in six simple steps. Before you can don your rubber gloves and work up a lather, you’ll need to check that your clothing is suitable for hand washing. So, take a look at the label to see what the manufacturer recommends: the information should be included on the tag, and is usually indicated by a laundry symbol. If you’re having trouble working out what all those little icons mean, check out our at-a-glance guide to laundry symbols. Jeans (especially expensive premium denim, which can be more susceptible to fading and shrinking). Bras and lingerie (particularly delicate lace or silk styles). Garments with ‘delicate’ labels don’t need to be hand washed, so you can go ahead and wash them on the lowest spin cycle or gentle setting. For extra protection, place your delicate items in a mesh laundry bag before washing. If you’ve got a huge pile of laundry with lots of different washing instructions and you just don’t know where to start, why not get a helping hand? Here at Laundrapp, we can wash almost anything, and our convenient wash and fold laundry service will deliver everything right to your door — ideal if you’re always pressed for time. Can you hand wash dry clean only clothing? Many people believe that dry clean only items can be washed by hand, but this isn’t actually the case. Washing clothes by hand and dry cleaning are very different processes that use very different cleaning agents and methods, so it’s best to take your dry clean only garments to the professionals. This will ensure the best results, and you won’t need to worry about the colours bleeding or fading. If you don’t have time to pop to you nearest cleaners, you can always rely on Laundrapp’s speedy dry cleaning service to help you out. We’ll pick up your grubby laundry and return it to you freshly cleaned, at a time to suit you. If you’ll be washing more than one garment by hand, it’s a good idea to separate your darks from your lights before you start, just as you would with your normal weekly load. This will help to prevent the colours from transferring during the washing process. You’ll also want to consider washing different types of fabric separately, as these may need to be washed using different detergents, or at varying temperatures. Check the labels of every item you need to clean, and group those with similar washing instructions together. After sorting, you’ll need to prepare your garments for washing. Ensure that any buttons or zips are fully fastened and check any pockets for small items. Some clothing will also need to be washed inside-out: this information should be included on the label. You don’t need much to get your hand wash only clothes clean: some basic equipment and a little elbow grease are all it takes. Here, we’ve listed exactly what you need to get your clothes sparkling clean without any help from your machine. Long-sleeved rubber gloves: Washing clothes by hand may be great for your wardrobe, but it can take its toll on sensitive skin. You’ll need a pair of rubber cleaning gloves to protect your hands from the drying effect of any detergents or soaps. Two clean bowls or tubs: You’ll need two bowls or basins, which should be large enough to accommodate the garment you want to wash — remember that some items may expand when wet. One tub can be used for soapy water, and the other can be filled with clean water for rinsing away the suds. A clean sink or even a bath will also work well if you’re short of bowls! A mild detergent or gentle soap: While a spoonful of your usual detergent will often work fine, you can also buy specialist detergents that are formulated for hand washing. These are usually enzyme-free, making them gentler on delicate fabrics over time. You can also buy specialist cleaners for wool, silk, and cashmere. Some people even swear by baby shampoo! Whatever you choose, it’s a good idea to test out some diluted detergent or soap on an inconspicuous area of a garment before you begin, just to be on the safe side. A good pre-treating solution: While hand washing is much gentler than a machine wash, it’s often not as effective at removing tough stains. For the best results, you’ll want to treat any marks with a specialised stain treatment before you wash them. Start by filling one basin or tub with water. Unless the label on your clothing calls specifically for hot or cold water, lukewarm will be best, as high temperatures can damage delicate fabrics. Add the recommended amount of your detergent to one of the basins and swirl the water gently with your hand to work up a lather. Next, take your garments and completely submerge them in the soapy water. If you don’t have a very large basin, you may prefer to wash each item individually, as this will prevent the tub from becoming overloaded. Swish the clothing around to ensure it’s completely saturated with water, and then leave it to soak for a couple of minutes. Stubborn stains can be left for longer if needed, although you should never leave real silk garments to soak for longer than 30 minutes. Work the fabric with your hands, using gentle kneading motions to help loosen any dirt. You should be careful not to scrub or wring the fabric, as this could damage the fibres or stretch it out of shape. Once you’re satisfied that you’ve gotten your clothing as clean as possible, you’ll need to rinse out the suds. Transfer your clothing into the basin that’s filled with clean water and swish it around to remove any soapy residue. You may need to change the water if you’re struggling to get your garment completely clean. Next, you need to remove excess water. This can take a little bit of patience: you’ll want to avoid wringing or twisting your clothing, as this can damage the fibres and cause your garments to become misshapen. Instead, gently press it between your palms to remove as much of the water as possible. If your clothes are still sopping wet, try the towel trick. Take a clean, light-coloured towel (this will help to prevent any colour from transferring onto your garments) and lay it on the floor or a table. Then, lay your damp clothing down flat on top of it, and gently roll it up in the towel — a bit like a sleeping bag. Press the rolled bundle lightly to help absorb as much of the water as possible. Can you spin hand wash only clothes? Some modern washing machine come with an extra-gentle spin cycle, which can be used to help get excess water out of your clothing after hand washing. 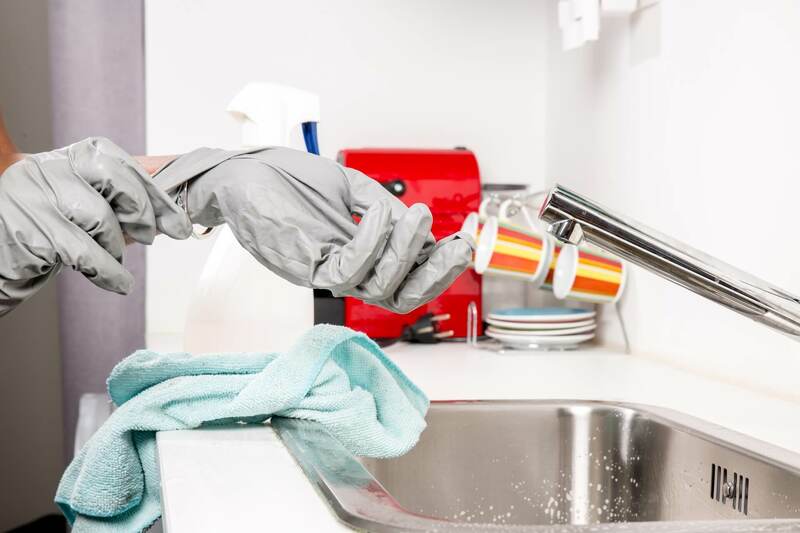 This can be a real time saver, but you should be very careful: if you think there’s any chance that your clothes could be damaged, it’s best to err on the side of caution and avoid using your machine altogether. When you’ve removed as much excess water as possible, you can leave your garments to air-dry. 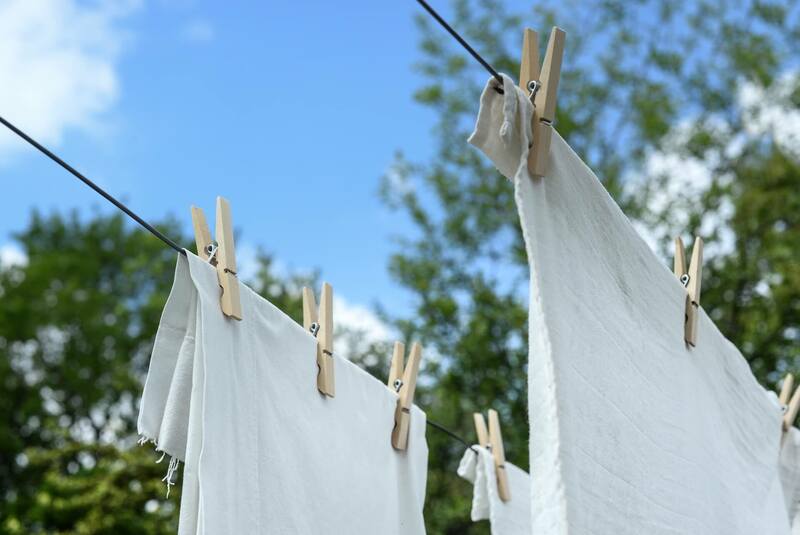 If the label allows for it, you may be able to put them in the tumble-dryer on a low heat but, as a rule of thumb, most hand wash only items should be left to dry naturally on a clothes horse or hanger. 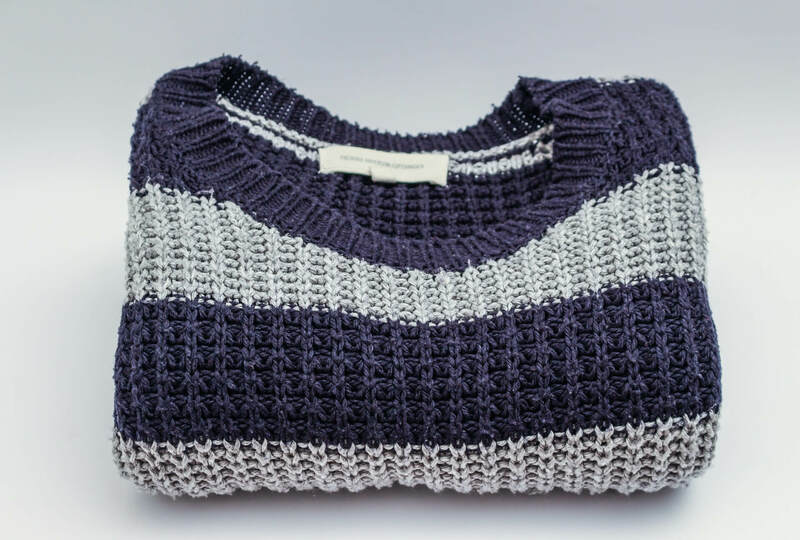 Heavier garments, such as woollen jumpers, will need to carefully reshaped and laid out on a flat surface to dry. This will help to prevent the wool from being stretched out by the weight of the water. Lightweight blouses and shirts can be placed on a hanger and hung up to dry. Always use a padded hanger, as this will prevent any creases from forming in the shoulders. If the label allows, you could also iron your clothes to get a perfectly smooth finish. You’ve worked hard to wash your clothes by hand, so why not let Laundrapp take care of the ironing for you? We’ll collect your clothing, iron it using professional methods, and return it to your door beautifully hung or folded. Now you know exactly how to hand wash clothes, you’re all set to get those delicate garments looking dazzling. For more expert tips that will help you to get perfect results on all your laundry, check out our helpful guides. You can also keep up to speed with what we’re up to on our blog. While hand washing is one of the safest ways to clean delicate clothing, it’s never possible to predict how your clothes will react to certain detergents. So, please note that Laundrapp cannot be held liable for any damage that happens as a result of hand washing. However, as long as you’re careful to follow the advice given on the label and conduct a patch test to see how the fabric reacts to detergents, you should be able to get your grubby laundry beautifully clean in no time.